Our aim is to develop dog food that takes into account the changing needs of dogs. 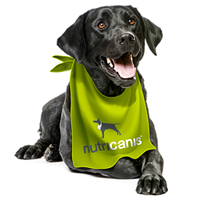 Our recipes are intended to contribute to the health of your dog. We therefore collaborate closely with veterinarians and nutritionists when developing our products. This is the only way we can ensure that each of our unique recipes is of exceptionally high quality and offers proper nourishment for your dog. We employ people who love dogs and want to make sure that your four-legged friend stays happy and healthy. Since we believe that well-being and a zest for life are important to any dog owner, we constantly work on enhancing our recipes and adapting them to the experiences of dog owners. For example, we have excluded wheat and gluten-containing ingredients from the beginning in order to avoid triggering intolerances and allergies. Our close collaboration with vets means that our knowledge base is growing at as fast a rate as our young company. Our goal is to create an understanding of the importance of proper nutrition for dogs and to provide as many dog lovers as possible with the opportunity to keep their dog in shape with premium-quality ingredients – at fair prices. For this to work, we do not invest huge amounts in advertising or in retail marketing but rather concentrate our spending on high-quality ingredients. We do not bank on just a few premium ingredients that we could use for effective advertising, but rely on recipes containing almost exclusively premium-quality ingredients – from 98% of the best turkey meat, as an excellent source of protein, to the inconspicuous, but antioxidant-rich blueberry. Why not try out our recipes on your dog and discover for yourself the quality of our products and the value of our nutrition philosophy. Nutricanis is affiliate member of the European Society of Veterinary Clinical Ethology (ESVCE).